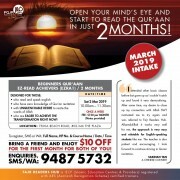 OPEN YOUR MIND'S EYE AND START TO READ THE QUR'AAN IN JUST 2MONTHS! "I attended other basic classes before but gave up as I couldn't catch up and found it very demoralising. 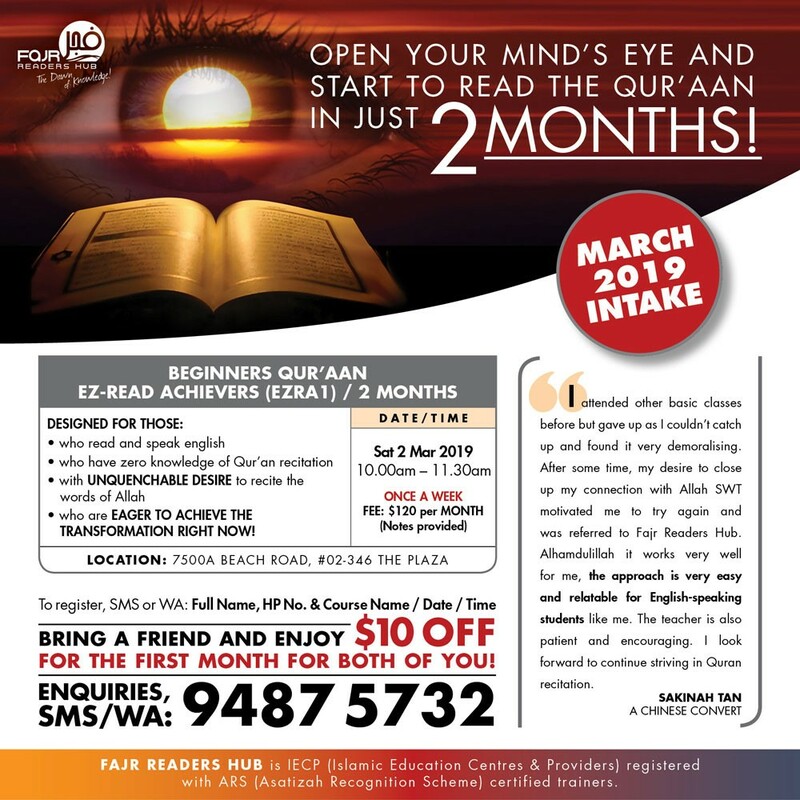 After some time, my desire to close up my connection with Allah SWT motivated me to try again and was referred to Fajr Readers Hub. Alhamdulillah it works very well for me, the approach is very easy and relatable for English-speaking students like me. The teacher is also patient and encouraging. I look forward to continue striving in Quran recitation. • who are EAGER TO ACHIEVE THE TRANSFORMATION RIGHT NOW! • Bring a friend and enjoy $10 off for the first month for both of you! FAJR READERS HUB is IECP (Islamic Education Centres & Providers) registered with ARS (Asatizah Recognition Scheme) certified trainers.